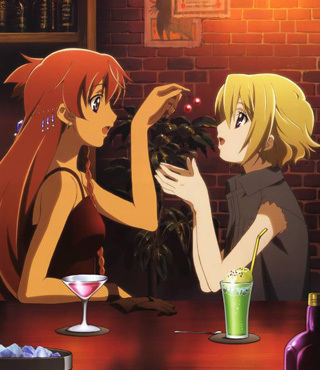 No, you haven't read wrong; the title of this anime is REALLY in Spanish. The guys at Funimation did not make a mistake or decide to use a foreign language so it sounds cool, ok? 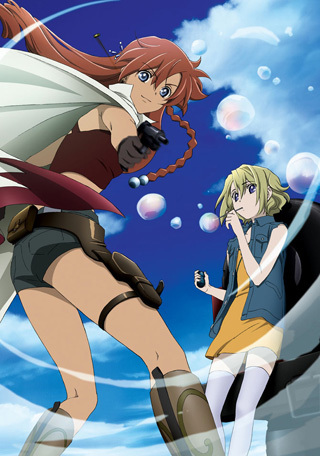 El Cazador de La Bruja: The Hunter of the Witch is the "Thelma and Louise" of the animated world with an aura of Trigun surrounding it and a dash of Death Note complexity and maybe a bit of Elven Lied. This might sound like too much but it's really a simple story about two girls that become friends and travel on a journey together. 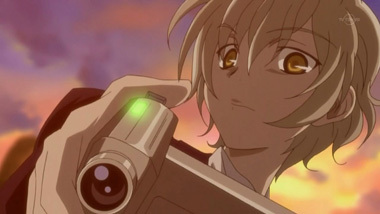 Don't worry about sappiness; with all the bullets and punches flying around and a bit of blood squirting here and there, El Cazador doesn't leave room for any Ya-Ya Sisterhood pants sharing or giggle-giggle fawning over cute boys. In the world of Mexico, there is no room for anything soft; girls are all women, boys are all men, and any phase in between better be skipped fast or you'll be dead. At the top of the pile are those that can survive anything: the bounty hunters. When word got out that there is a new bounty on the market, every bounty hunter saw dollar signs (please don't be stickler and say that since we're in Mexico, it's peso signs.) A girl is somewhere in Mexico, wanted dead or alive for murder. It'll be easy to find her; how many blond Caucasian little girls with purplish eyes can there be in Mexico? 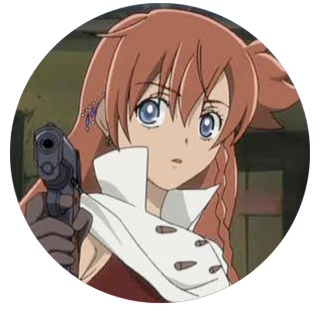 Nadie is an exception; even though she's a bounty hunter, she's been hired to track down the little girl and protect her. Fortune smiles on the two and they meet as Ellis, our little girl, is trying to hustle a few coins doing card tricks so that she can afford to buy some food for the fortuneteller granny that took her in. She is so small and frail; how can Ellis be a murderer? The fortuneteller knows that Ellis needs to leave town and head south to a place called Minay Marka; she asks that Nadie take Ellis and go, protect her until she remembers who she is and gets to where she needs to go. 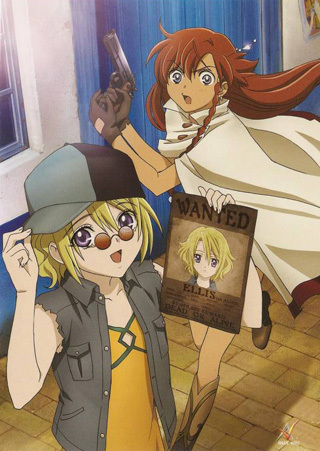 From town to town, Nadie and Ellis are constantly on the run from other bounty hunters and living by their wits. One day, they'll evade by pretending to be sisters, another day by being waitresses, and another day by just running for their lives, ducking between bullets and grenades with nuns' prayers and luck's blessings protecting them. Once in a while, they are actually meet hard working honest folks that are willing to share the roof over their head and food from their table with them. 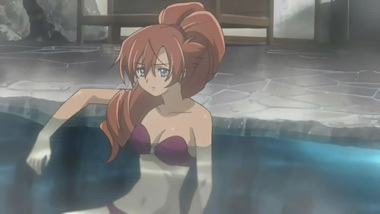 Unknown to the two, they are also being protected by another bounty hunter who was hired to keep an eye on Ellis and a psychotic murderer that fell in love with Ellis. The rat race to Minay Marka continues with Nadie and Ellis at the head, sometimes being lead by their instincts and sometimes by the psychotic murderer/admirer, LA, but always towards Minay Marka and the answers it holds for them. 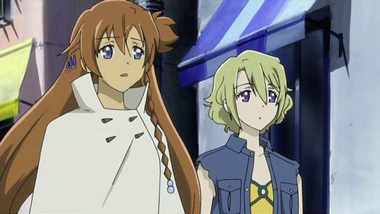 In another country, the two players of the chess game that Nadie, Ellis, LA, and all the bounty hunters are the pawns of square off against each other. Dr. Rosenberg knows who Ellis is: who created her, who brought her up, why she is being accused of murder, and why she is instinctually heading to Minay Marka. He was the one that hired the bounty hunter, Ricardo, to keep an eye on Ellis. 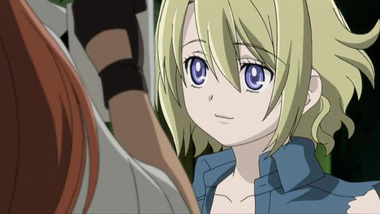 On the other side, you have Jody Hayward aka Blue-Eyes, if either are her real name, who knows what Ellis is and hired Nadie to keep her alive long enough for her to figure out what Dr. Rosenberg's Project Leviathan has to do with Ellis. Between all the mayhem and bonding, blood and sweat, bullets and magic, El Cazador never lets you forget that you are traveling in Mexico. The music transports you from the mystical with their flutes and drums to the passions and energy of the guitars. The towns and roads may be hot and dusty but there are pockets of oasis that are vibrant with warmth and life. The tomatoes for the salsa are abundant; the tequila is always flowing with the salt and limes in ready supply. People with a long history trying to keep one foot in the past, remembering the legends and superstitions of old, while trying to step into the future, merging with the urgency and cynicism of the modern technological world, with no luck. 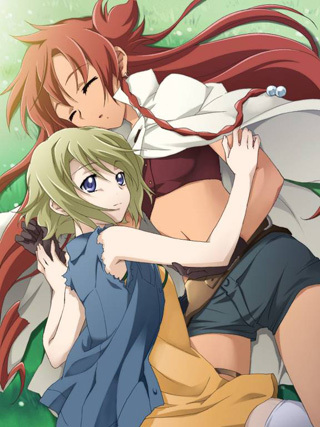 This is just a simple story about two girls, Nadie and Ellis, who become friends and journey through Mexico together. Come join the chess game. 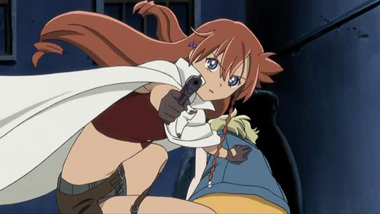 Below: Scenes from El Cazador de La Bruja. 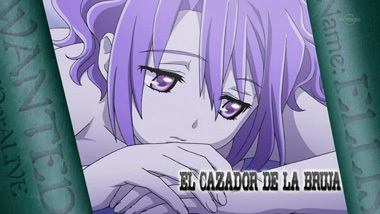 Below: The trailer for the English language release of El Cazador de La Bruja. 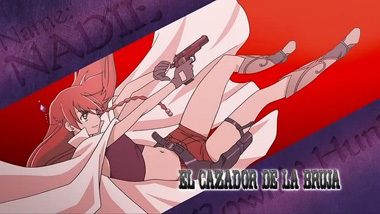 Below: The opening titles for El Cazador de La Bruja in Japanese. 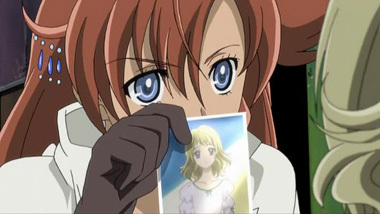 Below: Promotional illustrations from El Cazador de La Bruja. 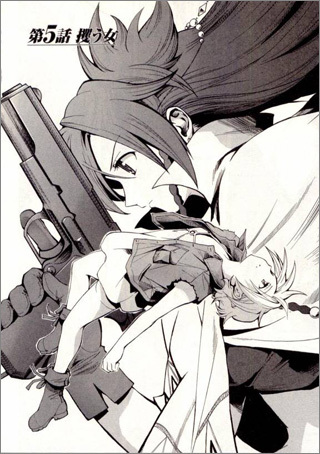 Below: An illustration from the El Cazador de La Bruja manga.